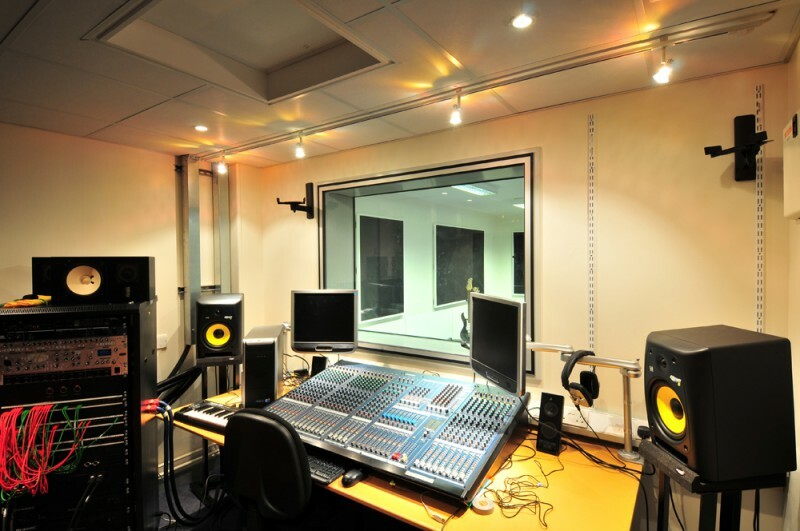 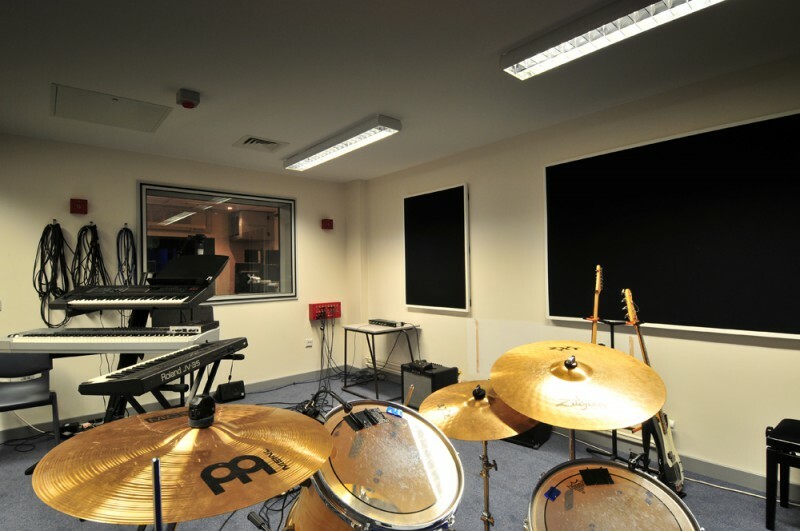 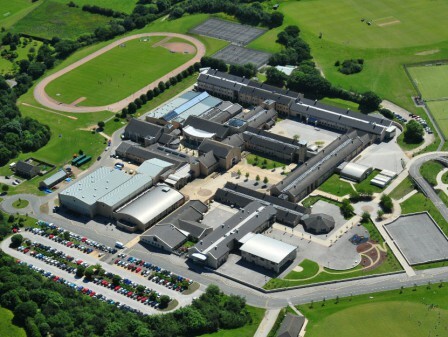 The music and drama block provides a hub for the school’s performing arts department and creates a state of the art acoustic facility comprising of: two music classrooms, a rehearsal room, a drama studio with technical gallery, a sound control room, a recording room and 12 music practice rooms. 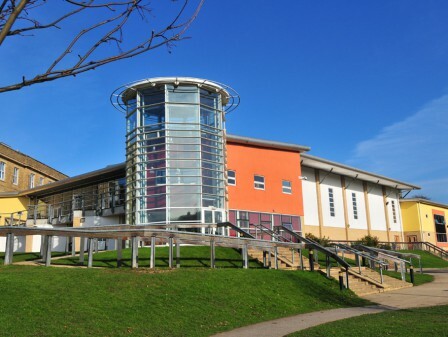 Known as The Davy Building, this three storey extension wraps around the theatre, also previously designed by Watson Batty as a conversion of the former gymnasium and completed in 2003. 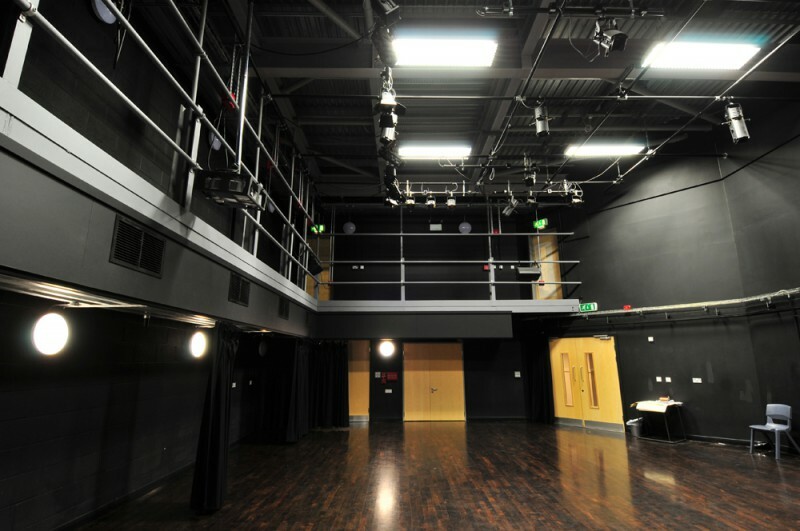 Internally the building’s accommodation is configured in a practical yet elegant linear arrangement via a corridor wrapping around the external wall of the theatre. 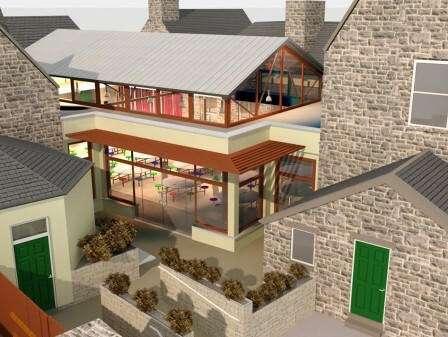 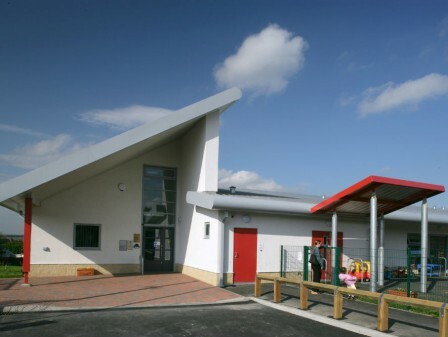 This enables all of the classrooms and studio spaces to be located on the outer façade to benefit from natural light and ventilation. 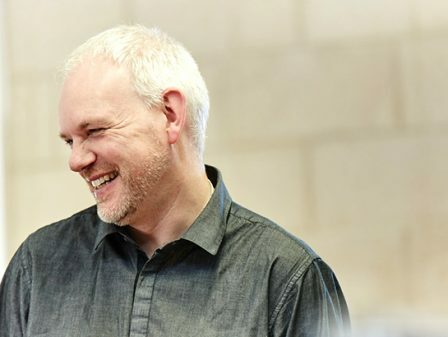 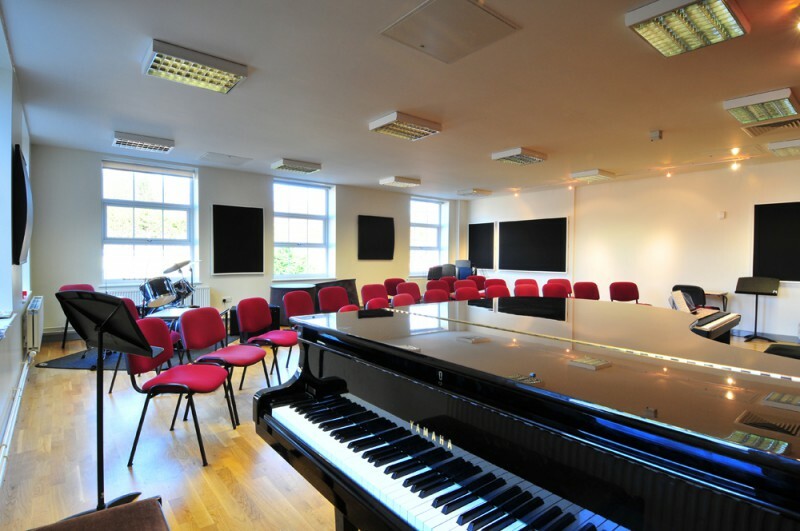 All of the individual practice rooms are located on the top floor to reduce noise disturbance, the majority of which also benefit from natural light. A glazed accessible entrance leads people from the external amphitheatre into the building, where a passenger lift is available to provide full access to all floors throughout the extension, also making it easier to transport heavy equipment and bulky instruments to the upper floors. 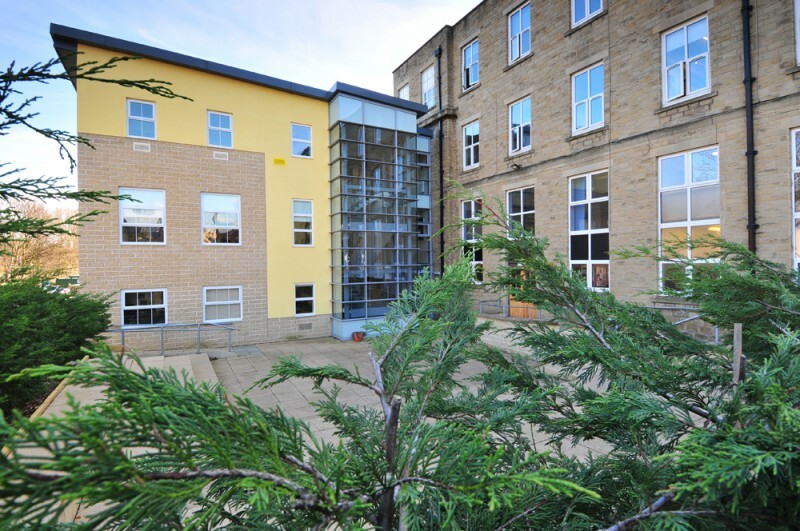 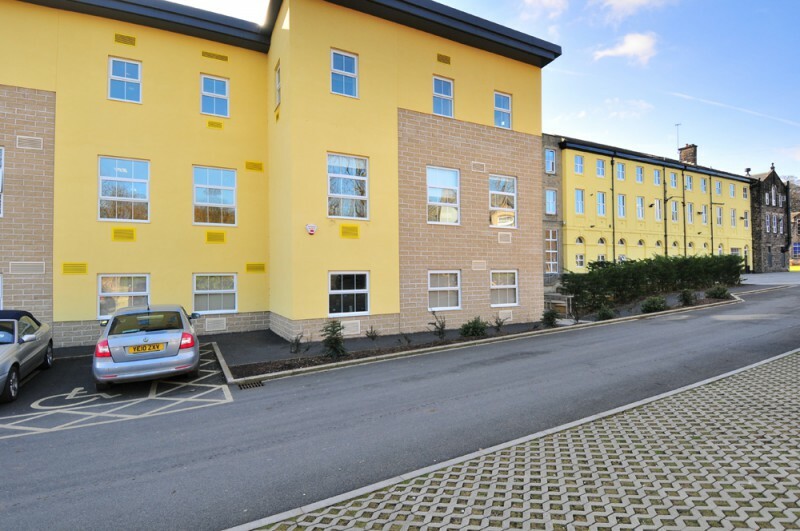 Due to the building’s proximity to the railway line there is a high level of external ambient noise which meant that the provision of natural ventilation via openable windows was never a design option. 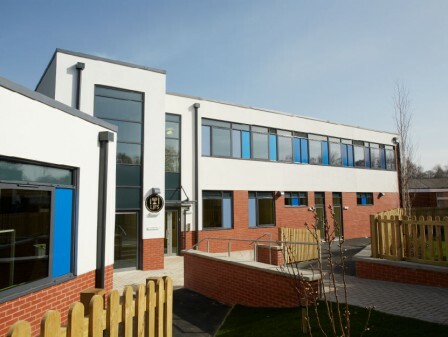 Instead a passive ventilation system is being utilised that draws in fresh outside air via acoustically attenuated trickle vents and air bricks and mechanically extracts stale air through acoustic grilles in the external wall.